Age Brackets: BOYS & GIRLS: U-19, U-18, U-17, U-16, U-15, U-14, U-13, U-12, U-11, U-10 , U09, U-8, U7. If you want to play up an age bracket you must clearly notate your application. Credentials: All players must have 2017-2018 US Youth Soccer, US Club Soccer or AYSO player passes, medical release forms. NO PASS OR PAPERWORK NO PLAY! Awards: Individual player awards for First, Second, and Third Place in standard U9 to U19 brackets. AYSA Academy brackets and standard U-7, U-8 to receive participation medals. Rules: US Youth Soccer subject to specified modifications by US Youth Soccer/Arizona, and the Arizona Spring Break soccer tournament. A copy of the rules is available on the web site and will be given to the coach at check-in. 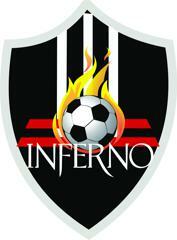 2018 AZ Spring Break Invitational soccer tournament is hosted by the AZ Inferno soccer club.